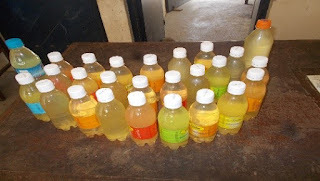 Police in Kirakira, Makira-Ulawa Province have arrested a 46-year-old male at the Kirakira main market for allegedly brewing and selling of home-made alcohol locally known as honey wine, on 15 January 2018. It is alleged the man produced the alcohol as a source of income. The man has been charged for Restriction of Making Liquor and illegal selling of Alcohol under the Liquor Act and released on bail to appear before Eastern Magistrate Court in Kirakira later this month.